It’s Vegetarian Month, and whether you’re a longtime vegetarian, interested in trying it for a week, or just looking for Meatless Monday meal ideas, these healthy vegetarian recipes will be perfect for adding to your rotation. 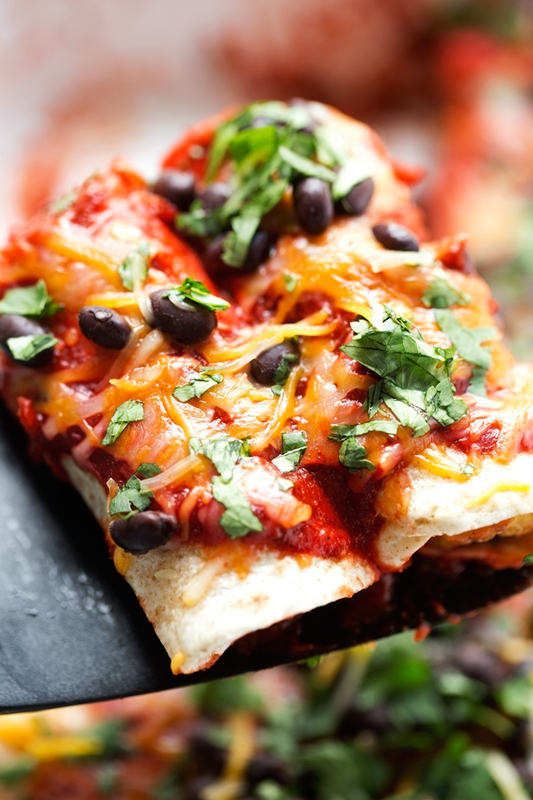 First up are Breakfast Enchiladas with Ranchero Sauce that make the most of eggs and potatoes. Game day cravings don’t have to be heavy with this Creamy Vegetarian White Chili. This beautiful Mushroom Alfredo Pasta Bake is so delicious, no one will guess it’s also healthy. Looking to lighten up your burrito bowl craving? Try this Taco Grain Bowl with Crispy Chipotle Chickpeas. Save on your takeout budget with this homemade Chickpea and Potato Masala that’s just $1.72 per serving. 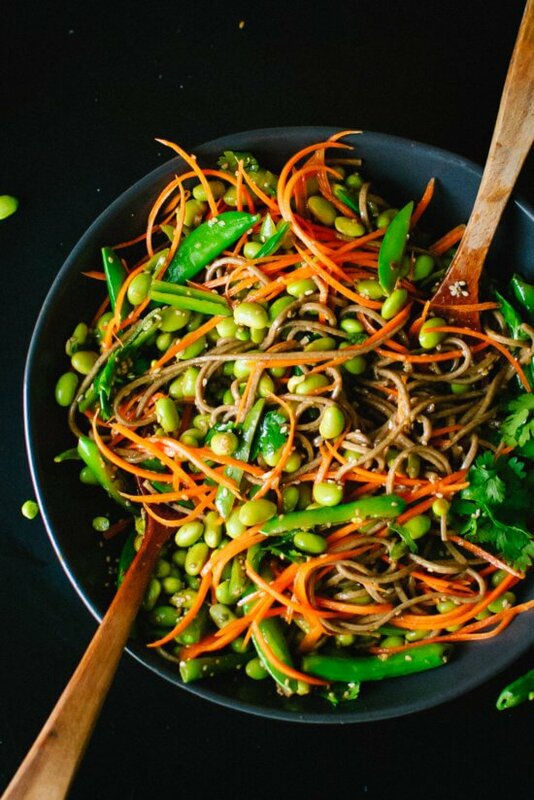 These Sugar Snap Pea and Carrot Soba Noodles are vegetarian but also protein-packed. 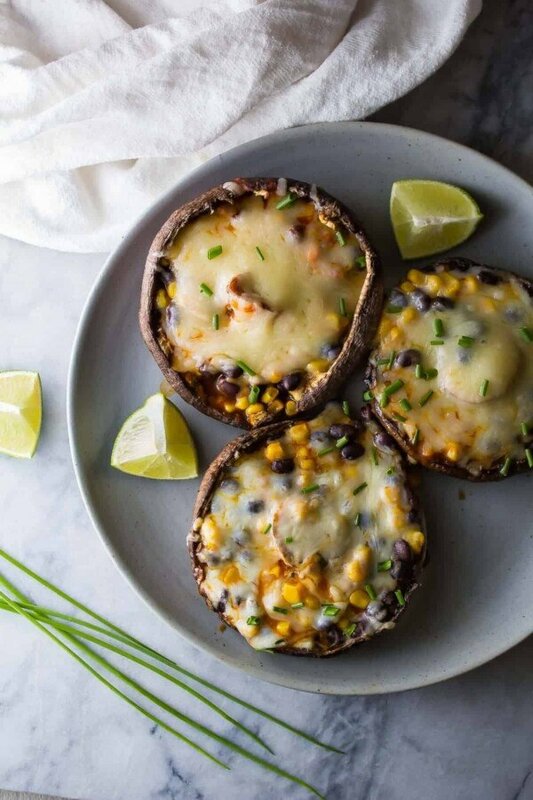 Whip up Enchilada Stuffed Portobello Mushrooms for an easy dinner that’s ready in just 25 minutes.